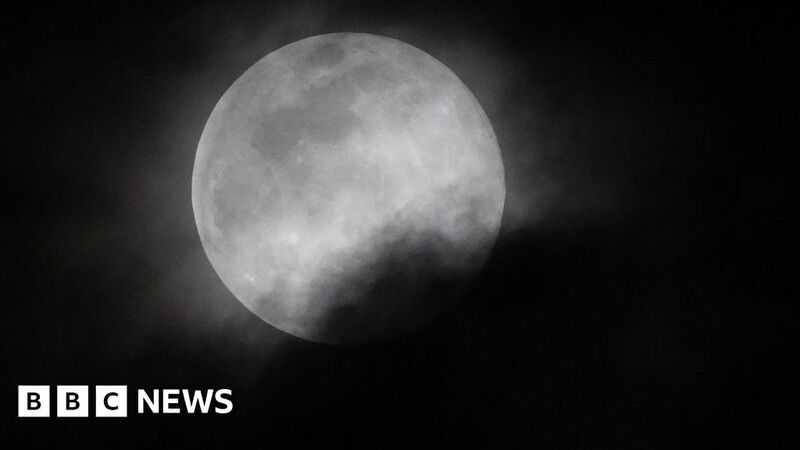 A super worm moon, the last supermoon of 2019, has been observed worldwide. Around this time Worms emerge from the ground. The coincidence of a full moon with the spring equinox is rare. This year's Super Worm Moon has been closest to Spring Spring since 2000. In the picture above, you can see the Super Worm Moon over the Angel of Independence monument in Mexico City. 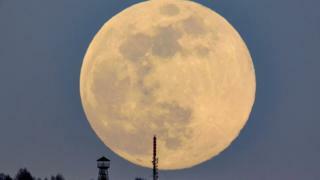 A view of the Super Worm Moon in Budapest, Hungary (above). 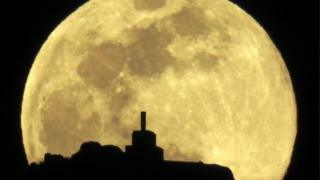 The last supermoon was in February and was called a "super snow moon". 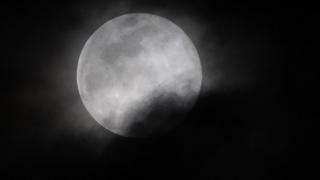 Supermoons occur when the moon is closest to Earth, making it appear larger and brighter than normal. 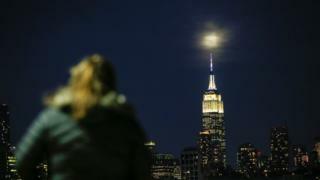 This image (above) shows the phenomenon that illuminates the skyline of New York. 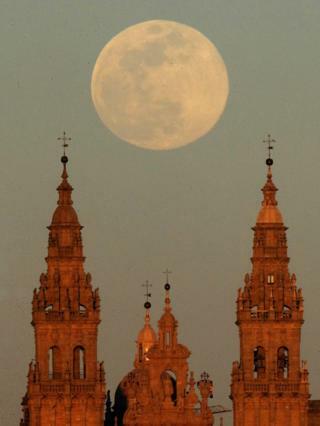 A view of the Super Worm Moon over the Cathedral of Santiago de Compostela in Spain. A view of the Super Worm Moon passing by Mount Pico Sacro in Spain.